At a shaded property on 8th street, two green and blue structures look like shabby-chic remodeled homes and their backyard counterpart. Delicate string lights hang from the branches of trees and the outdoor seating sports a quaint look, lush with greenery. A sign made of wooden letters spells out "Peace" and sits among the shrubbery. 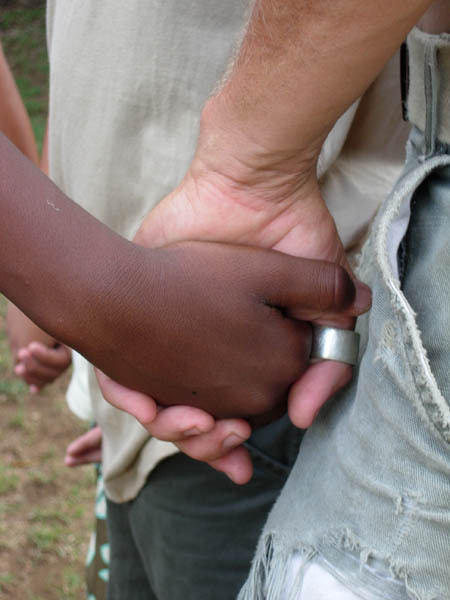 This is The Amala Foundation Sanctuary, a place for healing, self-discovery and acceptance for refugee children. Founded by Vanessa Stone in 2001, the Amala Foundation was built upon two questions: "What's the point of life?" and "Why are we here?" With these questions in mind, a group of volunteers led by Stone began serving children without the intent to change or fix them, but with a simple willingness to be impacted themselves. "The organization was founded with the intention of creating opportunities for personal growth through humanitarian service for people of all ages," Executive Director Ryan Jordan says. Amala's service projects, such as Camp Indigo and the Global Youth Peace Summit, aim to unite youth and help them see that beyond religion and ethnicity, we are all human beings. "We serve youth from all walks of life, whether it's refugees, immigrant youth or youth who grew up in privileged environments," Jordan says. Jordan's role in the organization varies from programming to fund raising; he makes sure everything runs smoothly. "I'm involved in this organization, and it may sound selfish, for my own growth," he says. Jordan knew he wanted to serve children after his friends pushed him to volunteer at the organization's first Camp Indigo, one of Amala's many youth programs. "I didn't know what I was getting myself into. It was a transformational day in my life, and then I was hooked," Jordan says. Held at the Austin Discovery School, the camp serves kids of ages 4-12 during two one-week sessions in June. "It's really just a space for kids to come together and have a safe space where they can express themselves, be themselves," Jordan says. Camp activities include music-making, movement, yoga, art, gardening and songwriting. Another one of Amala's youth projects, The Global Youth Peace Summit, happens every year with the help and dedication of over a hundred volunteers. The Summit has provided a place for American, refugee, immigrant and international youth to connect and grow together on a personal level. 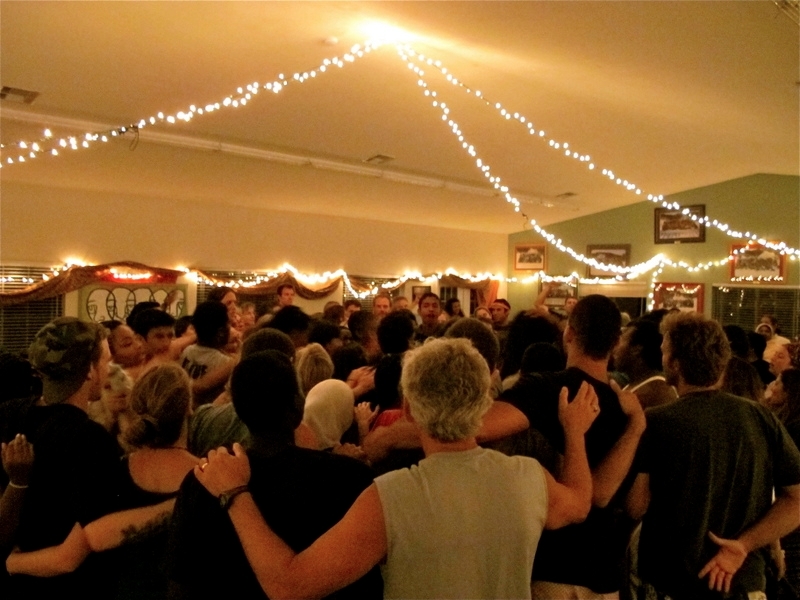 An annual, seven day-overnight program for youth ages 13-19, held at John Knox Ranch in Wimberley, Texas, the Summit provides social tools, such as conflict-resolution, heart-centered communication, compassionate response and peace-focused leadership. For the past eight years, the Summit's promotion of these values has allowed for the creation of friendships that broaden the children's global awareness and capacity for compassion, Jordan says. The program's 75 percent camper-return rate demonstrates its success. A typical day at the Summit starts off with Morning Movement, a rotation of different activities including yoga, Capoeira, and Life Kido. Talking Circles also happen daily and "provide a safe space for youth to share what is in their hearts and discuss issues that are affecting them, their families, their school and their communities,” Jordan says. Sacred Circle is a time dedicated to sharing prayers and songs from each of the youth's different cultures. Most refugees that Amala serves come with their families, but Amala also works with other programs, such as Refugee Services of Texas, i-ACT and the International Children's Peace Exchange Program, to get young refugees over to the U.S. from other countries. The U.S. government gives refugees only six months worth of living expenses, and then they're on their own. Amala tries to help these people through this life-changing, potentially traumatic time in their lives. One of the Sanctuary's most pertinent resources is its yoga studio, which offers Hatha, Vinyasa and Kundalini styles. The studio's instructor, Chelsea Hover has been working with the Foundation since 2008. "Amala is my family. I can say my life has been changed for the better for having found this organization," she says. One year at the Summit, there were six Iraqi boys he noticed weren't praying in the mornings. They were ashamed to practice their religion. "When they came to the United States, they thought everybody was going to be very welcoming. The kids here call him terrorist in school and throw coke cans at him," he says. The boys consequently became very resistant to sharing their beliefs and love for their religion. This prompted a Muslim volunteer to get in the middle of the circle and begin to pray. After a few moments of continued resilience, the boys joined in. "Before we knew it, the whole summit was lined up behind him, praying in solidarity with them. We didn't know the prayer per say, but you were sort of like living the prayer," Jordan says. Over 50 people lined up behind the boys that day to show their support and love for one another. After, Jordan says one of the Iraqi boys said, "I've never felt love like that before in my life." Jordan says that this "pure acceptance" epitomizes the Summit. For Chelsea Hover, the Summit is an opportunity to experience life without separation. "I see myself in every youth who shows up in my cabin, and every person who is present at the Summit. We live together, share, create, open our hearts, and are all better for having been present," she explains. Addicted to cocaine at an early age, Summit-participant-turned-volunteer Breez Smith says that a majority of the good things in his life can be attributed to the Amala Foundation. "No matter the obstacles and the suffering that someone goes through in life, it's still possible to emerge from that as a peaceful and accepting being that can relate these experiences to the suffering of others," Smith says. One cannot provide statistics on how many people's lives have been influenced by Amala, Jordan says, because most of the transformation occurs on a metaphysical, spiritual level. "Underneath it all, it's just a beautiful gift. The more I can connect to that, I feel like the more grateful I am for this being in my life," Jordan says.